Castles have a multi-faceted appeal. They are of interest from a historical perspective, an architectural perspective and from a romantic perspective. Wales has many castles. Most were built to act as strongholds for the Norman invasion of Wales, which followed the Norman conquest of England. Accordingly, they occupy strategic positions dominating the surrounding countryside. For the most part, these castles are in ruins, abandoned when they ceased to have military value. Nonetheless, they are still appealing and indeed are probably even more romantic than if they had survived intact. 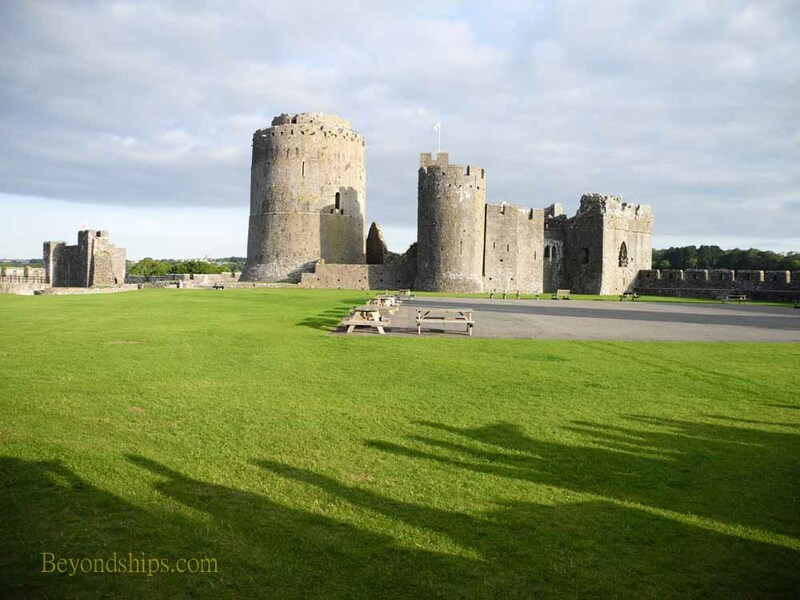 In this feature, we look at three such castles in southern Wales. Pembroke Castle looks the way a medieval castle ought to look. 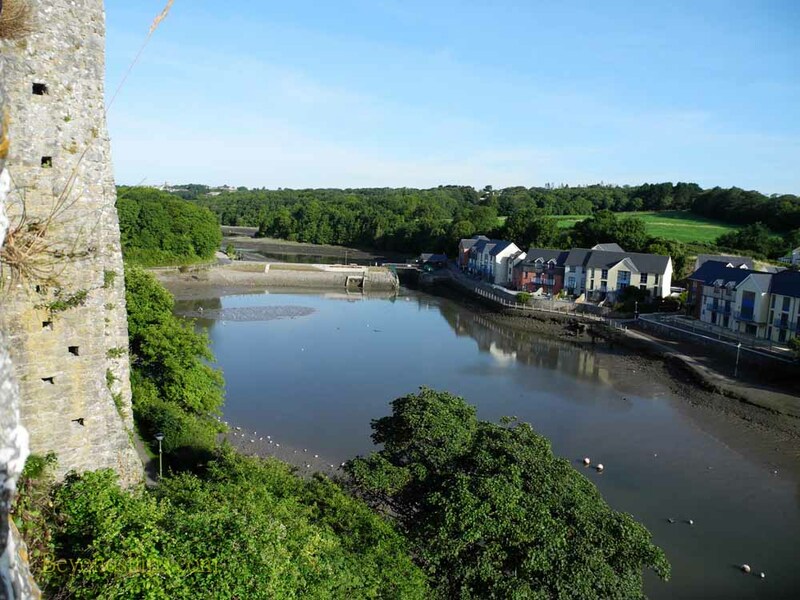 Perched on a ridge above two tidal estuaries, the castle has high stone walls and rounded towers. Not surprisingly, it has been used as a location in several movies including The Lion In Winter. Because of its strategic location, the Normans led by Roger of Montgomery, an ally of William the Conqueror, decided to build a castle here in 1093. It was more fortress than castle with earthen ramparts and wooden palisades. Nonetheless, it successfully held the Welsh at bay for nearly 100 years. Roger de Montgomery's eldest son rebelled against King Henry I and forfeited all of his British lands. As a result, the castle passed to the Crown and then to Gilbert de Clare, first Earl of Pembroke. In 1189, Sir William Marshal, known as the greatest knight in Christendom, was given the hand of Isabel de Clare, daughter of Richard de Clare ('Strongbow') and heiress of the Pembroke title, by King Richard the Lionheart. 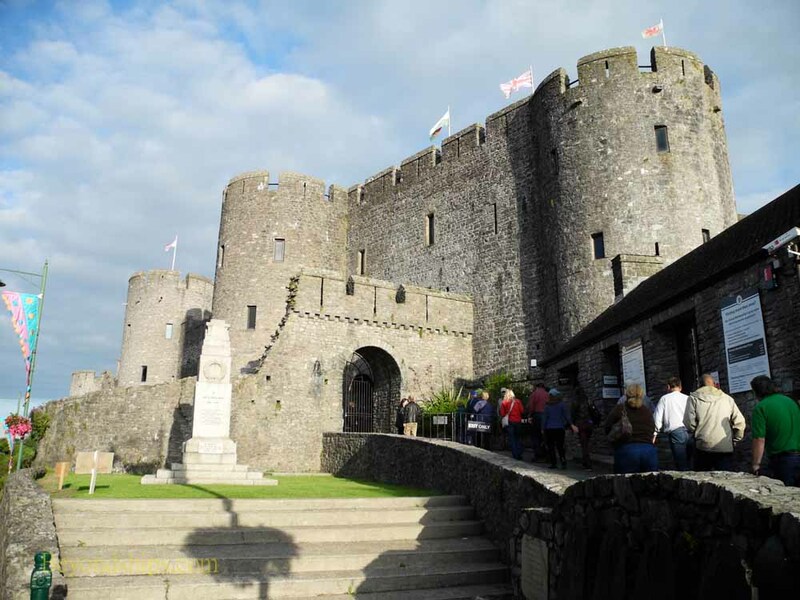 As a result of his marriage, Marshall also received Pembroke Castle. Marshall then set about transforming the old fortress into the classic Norman castle we see today. Over the next few centuries, the castle was held by Marshal's descendents but eventually it passed back to the Crown. Eventually the castle and the earldom were presented to Jasper Tudor by his half-brother Henry VI in 1452 . Jasper's sister gave birth to a boy at Pembroke Castle who eventually became King Henry VII, founder of the Tudor line of English monarchs. Two centuries later, Pembroke declared for the Parliamentary side and sustained an unsuccessful siege by Royalist forces. 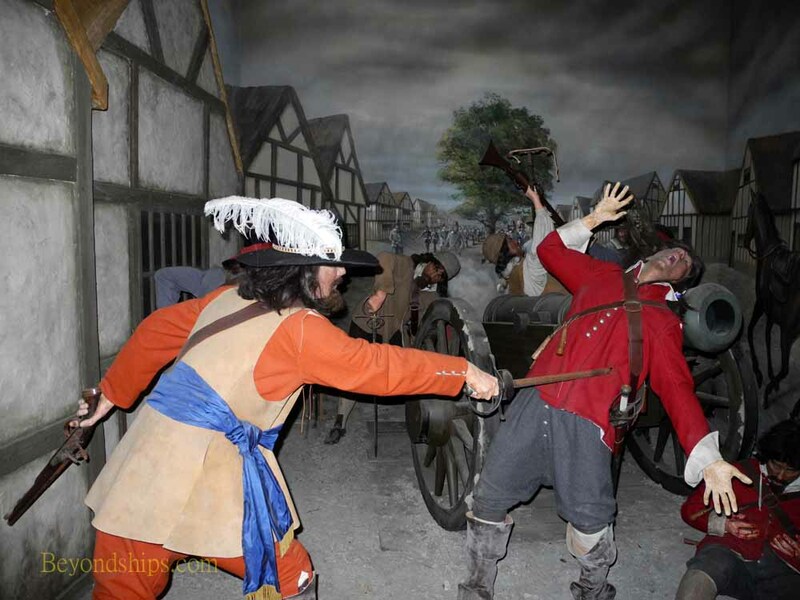 However, late in the war, Pembroke changed sides and was besieged by Parliamentary forces led by Oliver Cromwell himself. This time the siege was successful. Cromwell did not want to repeat this exercise and so he ordered the castle destroyed. Consequently, the castle was abandoned and allowed to fall into ruin. Some restoration work was done in the 19th century but it was not until Sir Ivor Phillips bought the property in 1928 that extensive restoration work was done. After his death, a trust was established to operate the castle. It remains the largest privately owned castle in Wales. Much of the castle is still in ruins. 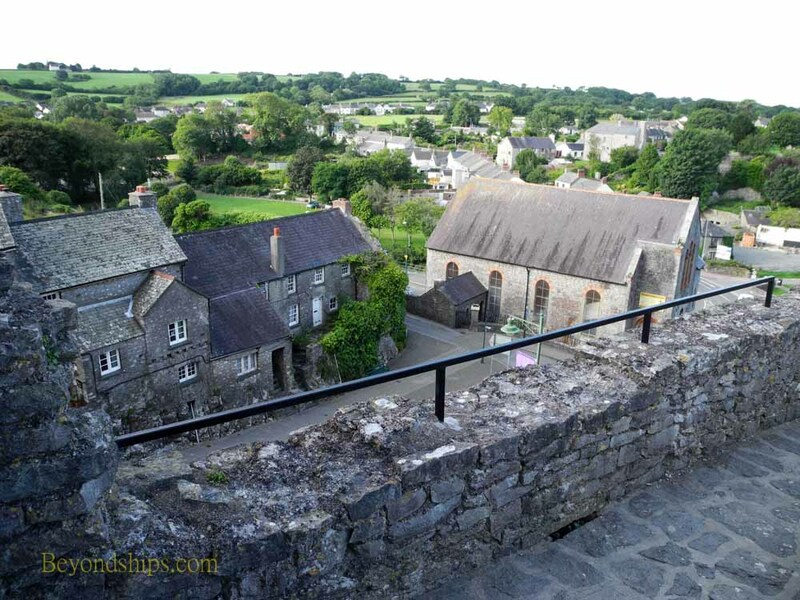 However, visitors can climb the walls and admire the view over the surrounding countryside or the castle's grassy wards. Another attraction is the large domed keep. Pembroke is also unique in that it is built over a large limestone cave known as Wogun's Cavern. Several of the restored rooms house exhibits relating to the history of the castle. These include scenes with life-size costumed figures.